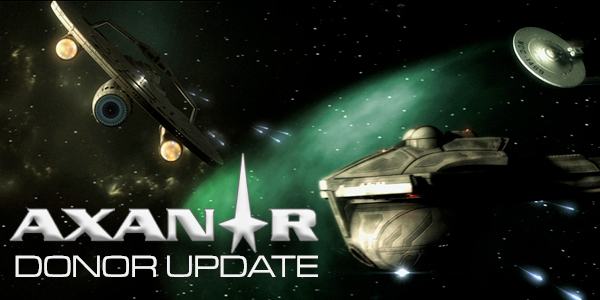 Axanar Productions will (hopefully) generate revenue, but only so far as it is required to maintain the facilities, business operations, staff, and freelance consultants required to fulfill its goals. All “profit” will be directed back into the Axanar Productions charitable mission. Industry Studios is the home of Axanar Productions; it’s the place where everything happens. The offices are located there, the sound stage and green screen are there, make-up rooms, lighting/sound/camera equipment, editing bay, bathrooms, coffee-maker, etc. 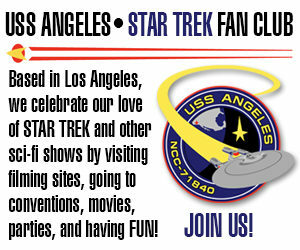 The Federation Historical Society is the brand under which they will manage all Star trek fan projects. And as stated, any and all future Star Trek fan films will be produced in full compliant with the CBS and Paramount guidelines. So you’re about to do a Kickstarter for Industry Studios to help pay the rent and utilities and related expenses. But Industry Studios is just Axanar Productions with a different alias. And Axanar Productions is also making the Axanar fan film. BUT!!! The legal settlement with CBS and Paramount precludes you from running a Kickstarter to fund the Axanar fan film. Aren’t you just finding a back-door way to have a Kickstarter to fund Axanar right under CBS and Paramount’s noses? Mike explained that the settlement was very carefully negotiated and will be meticulously followed by Axanar Productions. As such, no funds raised from the upcoming Kickstarter will be permitted to go into any aspect of making Axanar–finishing sets, costumes, props, feeding the production crew and cast during filming (no sushi, folks! ), make-up materials, equipment rental, additional digital storage if needed, etc. Kickstarter funds for Industry Studios will go into a restricted account designated solely for paying rent, utilities, insurance, completing studio upgrades, processing payments and crowd-funding fees, and perk fulfillment. Will the Axanar fan film be making use of the studio? Yes. But so will (hopefully) dozens of other fan and student productions. In other words, the donated funds will not be put directly into the Axanar fan film’s production costs…only into the soundstage. Axanar Productions intends to fully comply with the terms of the settlement with regard to raising money to fund the remainder of PROJECT: AXANAR. So there you have it, folks. My apologies for getting it wrong on Wednesday. I’m not sure if a bug on my end or an accident when creating this blog Jonathan, but there are several words blocks that and colored in black that makes it hard to follow along. Just more of the same nothing ! There’s no way that 501cS status is coming overnight, if it’s even granted, it would take several months at the best of time .. It just appears more obvious everyday that Alec and Mike set around and dream this crap up ! Anthony, most of the people who send me comments have few if any typos. With you, it’s almost like you have some kind of quota! Um, do you have some kind of quota? Just curious, are those redactions I see above? Nope. I simply wrote the blog first and then e-mailed it to Mike Bawden for review. I wanted to make sure I had everything correct. Turns out there are a few things he wanted tweaked for clarity, which was fine. In the e-mail, his tweaks were colored black amidst the quoted blue text. I just copy-pasted the whole magilla back into WordPress, not realizing the black coloring of his changes would be retained. Strangely, the blue quoted text all turned white, though. So, I guess that means that in previous Blogs where you claimed that Alec Peters (and Axanar Productions had already filed for tax-exempt 501(c)(3) status (something Alec Peters himself claimed a number of times in the past as well) it was a lie? When did I ever claim that they had already filed? I’ve said multiple times that they would be filing as soon as certain paperwork was approved by the California state attorney general’s office. But that’s just trying to get all the t’s crossed and i’s dotted before filing the final application. Go check. It’s easy: just do a search for “501” in the search field on the upper right of this page. The results will be all of the blogs where I’ve used the word “501”. Then select “Find” from the “Edit” menu on your browser and type in “501” again. It’ll zip you immediately to where on that specific page that I said 501-anything. If you can find somewhere that I said the application was already filed, please copy-paste the URL into your response so I can correct it. But I just checked, and it doesn’t appear to be anywhere on this website. Are you certain you saw it on Fan Film Factor and not some other blog or Facebook group/page? Could you please find out in detail from Alec the lawyer exactly what “paperwork” has been holding up this filing for over a year? All we have heard about was “paperwork” – first it was the Secretary of State, now it’s the Attorney General’s office?? Actually, that was just a sleep-deprived typo on my part, not Alec’s. It’s the secretary of state’s office, not the AG. And why do you need to know what paperwork is holding up the process? Would you also like to know what Alec had for breakfast this morning or when the next time he’s planning to do his laundry? Why can’t you answer a straightforward question? It’s a perfectly valid question – what the heck is holding this up? Not being an official spokesperson for Axanar, I wasn’t sure what I was allowed to share and not to share. So I try to limit my comments to information that has either been already released publicly or things I’ve been given a green light to share. Sometimes I screw that up, so I’m being extra careful lately. And as such, I didn’t want to share the reason for the paperwork hold-up until such time I knew it was okay to discuss it. As many of you know, we are in the process of applying for a 501(c)3, and while the application is written and waiting to be submitted, we are being held up by the California Secretary of State, which has been making us jump through hoops to change our corporate designation. Having raised so much money caused extra scrutiny, but we have hired a firm to guide us through the process and we hope to have the application in soon. So there you go, Jo, asked and answered at the source. Good day to you. Some of the text in this post appears to be highlighted black-on-black — kinda readable, but with difficulty (and probably unreadable in less-than-optimal lighting conditions). You might want to change the text color of those black-on-black bits, to make them easier to read. Sorry for the glitch. I’d sent the blog to Mike Bawden to review before posting, and he made a few small text corrections. I copy-pasted his edits back into the blog, and it seems to have kept the black color. I’ve fixed it now–thanks for the quick catch. Let’s say that Axanar Productions is a 501(c)(3) and that Alec is one of the board members. Let’s now say that Industry Studios is a for profit corporation, which has a board of directors that includes Alec, or that pays him as a key employee. If Axanar Productions pays Industry Studios for use of its facilities, there is an excellent change that Alec will be engaging in self-inurement; that is, as a board member of a nonprofit, he would be directing that nonprofit to pay his corporation for services, thereby enriching himself at the nonprofit’s expense. This is generally frowned upon by the IRS, and could potentially result in the revocation of Axanar Production’s tax exemption, or fines imposed on Alec, or the managers that allowed the situation to occur. I say this not having a horse in the race, but as someone who works for nonprofits. I hope that Alec has retained a nonprofit lawyer to review these things with him, and that he is being completely candid with that person about his plans for the nfp and the for-profit. Gotta stop you there. Industry Studios will be a part of Axanar Productions. Think of it like a professional sports team that has a stadium that it plays in. (Let’s imagine that it’s a non-profit professional sports team…although I realize that’s an oxymoron. Just please go with the metaphor for a moment.) So the central organization for that sports team owns the uniforms, the equipment, handles travel arrangements, concessions, ticketing, etc. And the stadium is just where it all happens. The stadium is not a separate entity from the sports team itself. That set up will garner Alec a whole heap of trouble. Not only will that constitute commingling of funds (which the IRS strongly frowns apon) but by having the studio a subsidiary of Axanar Productions any crowdfunding for the studio would probably be a breach of the court settlement ban for the film. Also, with Alec the sole owner and board member of Axanar Productions he will not be able to attain the 501(c)3 status. You should probably talk to an accountant and a tax attorney before you spout this rubbish. Axanar Productions is following the terms of the settlement meticulously, Sandy. Alec Peters is well aware that CBS Licensing feels like they’ve released a shark back into the ocean…only this time he’s wearing a tracking device. In other words, Alec knows he’s being watched like a hawk, and he has no desire to be sued again. As such, everything that’s been announced has been carefully analyzed, discussed, and vetted both legally and financially to comply with the settlement agreement. There is nothing going on “in secret,” so if CBS or Paramount have a problem with anything, they are welcome to contact Alec and Axanar Productions with their concerns. In fact, that’s what should have happened the last time, so maybe this time, both sides have learned a valuable lesson. I’m certain folks at CBS Licensing are paying very careful attention to everything Alec posts, which is why those posts are so public in the first place. And hey, if John Van Citters misses something, I’m sure there’s some brown-nosing detractor out there somewhere who will fill up his spam box with all sorts of tattle-tale e-mails…right, Sandy? Well, then it’s a good thing that Alec is NOT the sole owner and board member of Axanar Productions! I certainly wouldn’t want anyone to be feeding John Van Citters misinformation and having him get in trouble for acting on it. That’d be just tragic for everyone involved. According to the publicly available documents from the state of California he IS sole owner and officer of Axanar Productions. So, unless they have been updated in the last month and a half you’re wrong again. Ah, so there are TWO possibilities, and in one of them, I am not wrong. Traditionally, when shifting a for-profit to a nonprofit, you contribute the assets of the for profit to the nonprofit. So the number of owners of the for-profit is immaterial. The nonprofit, though is mandated by the state to have a minimum number of board members and the application won’t be approved unless there are at least that many people included in the submission. If there are issues here, this will not be one of them, at least in the beginning. If the number of board members drops below the state minimum, that could be a problem in the future. The practice of creating shell companies for non profit status and weaving through profit companies has been attempted since the beginning of non profits, and the IRS has many safeguards put in place to prevent this! There are some methods in which this might be accomplished by Alec turning over ownership of the studio or Axanar to another person and remove himself from that operation, but the IRS will never accept the ownership of two operations, one profit and one non profit, basically operating within the same structure . You can think of this as your local grocery store which operates at a profit, except they want the toy department as a non profit because it’s losing money, that’s is not possible! Even though Alec is attempting misdirection (imagine that) to attempt to benefit from both worlds, in reality this probably HAS NOT been reviewed by legal counsel yet and there’s no way of pulling it off without Alec giving up control of either Axanar Productions or Industry Studio – neither of which he’d ever do ! Neither Axanar Productions not Industry Studios will be operating as a for profit from this point on. And to be honest, Axanar Productions has never made a profit anyway. There’s been no income revenue generated that hasn’t been put back into either the studio build-out itself or the footage and effects already shot and generated. If the Axanar movies are an in house production and Alec isn’t paying himself or a separate corporation that he is involved in with funds from the nonprofit, then I *suppose* he can avoid some sort of self-inurement scheme. But by all accounts, even when Alec is working with professionals he does not always seem inclined to follow their guidance. It sounds nuts for the business operating the studio to be a subsidiary of the production company. Usually these things are the other way around, but even there there are always issues of self dealing when one is a nonprofit and one is not. So I would continue to be concerned about that. Ok, so are there two companies or one? And are both nonprofits? The comments before, about the team and the stadium doesn’t clarify whether it’s all actually one organization doing this or whether there will be multiple organizations. Alec could potentially raise funds through an nfp, of which he was the exec dir, and pay himself market rate compensation, if approved by the board. The situation becomes problematic if there is an nfp and a for-profit, and the nfp is paying the for-profit for services and the same people are running both the nfp and the for-profit. It’s less of a legal/exemption issue if there’s one company doing multiple things and everyone is being paid out of the same stream. That’s immaterial as far as the state is considered. If an organization is registered as a for-profit corporation, it’s a for-profit even if it’s not making any profit. Because if it did, the profit would accrue to the shareholders. If an organization is registered as an nfp, it’s a nonprofit even if it makes a profit, because that profit can *only* be rolled back into the organization. If you call your for-profit a nonprofit (because you are not making any money), you are basically breaking the law. All nonprofits are exempt from paying certain types of taxes (usually income taxes and property taxes) and some (usually 501(c)(3)s) also permit contributors to take a deduction based on amounts contributed to them. By calling a for-profit company a “nonprofit” one may be implying that a supporter can make a tax-deductible contribution when that is not the case. That’s a no-no. Sure, you can act as a non-profit without being tax exempt, but what’s the point? If you are a C corp, your corporate profits will be taxed directly, and if you are a partnership or S corp, the profit will flow through to the partners and be taxed on their personal returns. There are some limited cases where LLCs actually function as nonprofits, but I don’t think that we’re talking about that. So the issue is less about how a company acts with its profits than how it incorporated and what it is legally allowed to do with its profits. And the issue of what happens to the profit and how it is used is of concern to people who support projects taken on by nonprofits. I wish I knew what was going on on the back end with Axanar Productions because it’s probably not nearly as complicated as these discussions make it out to be. If they described what they were doing in business language, the rest of us could decipher it explain what was going on. It’s the lack of transparency that leads to speculation. Let’s take as an example a group called Friends of the Library, Inc. It’s a 501(c)(3) nonprofit (which means it has a federal tax exemption), organized to encourage the appreciation of literature and to raise money for the support and improvement of the local public library. It makes a profit from a lecture series featuring famous authors and from an annual volunteer-run sale of donated books. Because these activities are educational and literary in nature, they do not jeopardize the group’s tax-exempt status, and the proceeds from them are not taxable. The organization may use this income for its own operating expenses (including salaries for officers and staff) or for the benefit of the local library. What it cannot do is distribute any of the income to the nonprofit’s officers, directors, or others connected with Friends of the Library. So as long as Industry Studios is still allowing students and low-end productions to come in and use the facility at highly discounted rates–which is a charitable endeavor supporting education and the arts–the main purpose of the studio remains essentially charitable intended to help “the community” as a whole. This is not to say they cannot still charge full price to a commercial production, but that revenue must be funneled specifically into operational expenses (which can and does include salaries, as well as rent, maintenance, and expansion). The profit simply cannot be paid out in any form of dividend to the officers and directors…although they are allowed to make a salary if they do work for the organization. Well, think of it this way. Axanar Productions is not only making its own fan films, but it is also helping others (including students) to do it as well. Don’t have an editing bay? No worries, we have one. Need to learn how to edit? We can guide you. Want help turning your script into a line-item budget? We can help there. We can help with lighting, sound, music, set-building, etc. Axanar Productions (and the resources of Industry studios) are all intended to help those just getting started and who don’t have resources of their own to be able to make films and/or make them better. As for Axanar producing its own content, well, that serves two purposes in addition to simply making Axanar or other Trek/sci-fi fan films. First, it serves as a “See? We know how to do this…” example to help market their expertise and services. And second, things that the studio creates internally can be used down the line as instructional examples to future filmmakers and students in how to do this or that. For example, if Robert Burnett ever teaches an editing class, he can use the raw foot shot from Axanar to demonstrate how to assemble a scene’s shots in different sequences to achieve unique emotional effects. Scenes can be shown before and after image adjustment to illustrate how post-production can be used to fix bad lighting or drab color. Many, many, many possibilities open up if Axanar Productions shoots its own fan films. …has to realize that, the more salary Alec gets paid, the less is left over to pay the rent and utilities and other expenses. And those are significant. I’ve actually crunched the numbers, and they don’t leave much left over for salaries…even if the studio is rented out each day for commercial productions. Renting it more cheaply to students and the such means even less available for salaries. If Alec wants to concentrate on something to generate more income, he can (and should) keep Propworx going. There’s a lot of sci-fi/fantasy/horror franchises out there with a warehouses full of old sets, props, costumes, prosthetics, etc. looking to auction it off. But there’s nothing saying Alec can’t do both Propworx and Axanar simultaneously…in fact, that’s kinda what he’s been doing for the past few years anyway. But the big bucks WON’T be coming from Axanar Productions. Given how much of his own money Alec has already poured into Axanar with no hope of ever breaking even, this “concern” that he might theoretically someday personally make a profit somehow is hilarious. People either genuinely don’t know the numbers involved / what goes in to running a studio or are being disingenuous to the comical extreme. Previous Previous post: AXANAR FINANCIALS and FUTURE PLANS…plus YOUR chance to ASK ALEC PETERS! Next Next post: “Think of the children!” – Why I still believe in AXANAR!